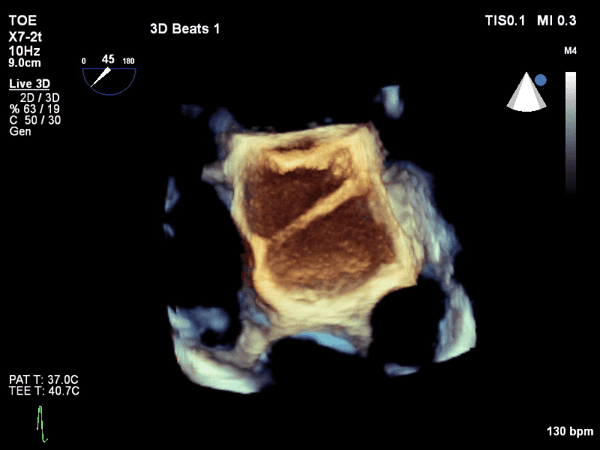 Zoomed 3D view of the inter-atrial septum in the region of the foramen ovale. Note the band in the LA that appears to tether the inter-atrial septum and draw the foramen oval open. Looks like a part of a sewing machine! 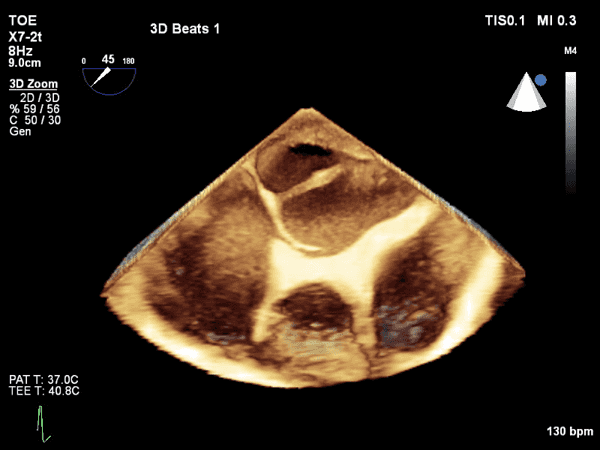 2D view of the inter-atrial septum in the region of the foramen ovale. 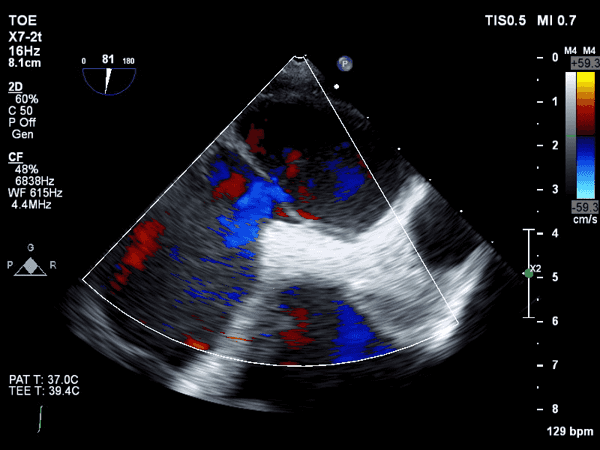 Colour Flow Doppler demonstrates flow across the PFO. There is a lot of colour artifact in the LA and RV. 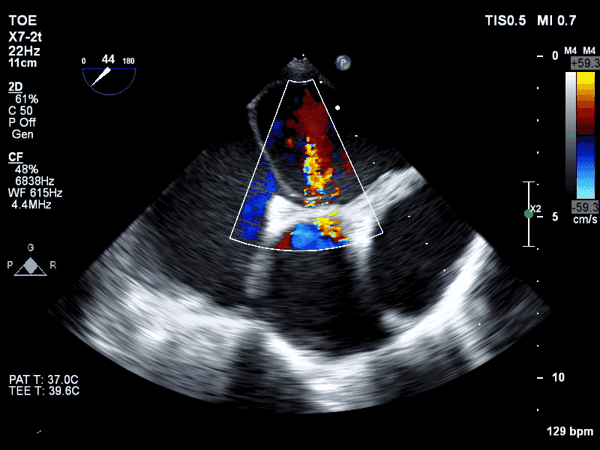 Zoomed 2D view of the inter-atrial septum in the region of the foramen ovale. 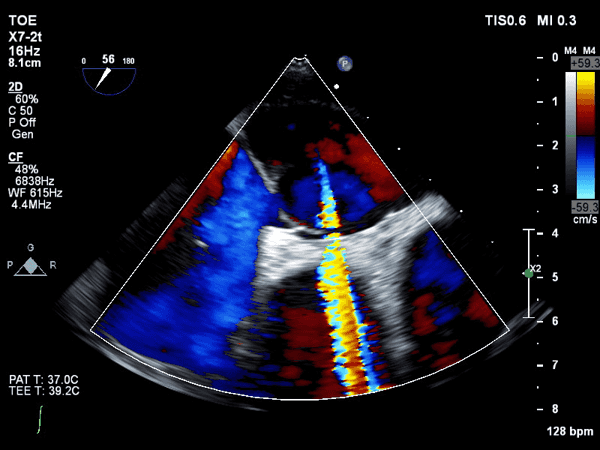 Colour Flow Doppler demonstrates flow across the PFO. So there is a PFO, and a left atrial band. The small degree of shunting present is unlikely to contribute substantially to desaturation. With a bit more time, she weans from the ventilator. In the absence of change to the RV, this can be monitored. An occlusion device could be considered should closure be required. Left atrial bands have been associated with cryptogenic stroke; however, there is no evidence of associated thrombus at this time. Hello and welcome to echopraxis.com. The ICN Echocardiography Masterclass was held on the 19th of June at St George Hospital.